But if Kurt had his way, Kyle wouldn’t have been sitting in victory lane. After Kyle took the lead by not pitting under caution with 18 laps remaining, Kurt slotted into second place. “I was like, ‘You can’t tell people you’re going to wreck ’em before you do it because when roles are reversed, that person’s going to wreck you because you’ve already told them you’re going to wreck them,” Kyle said. “So I guess if I’m ever running second to Kurt, I’m going to wreck him. 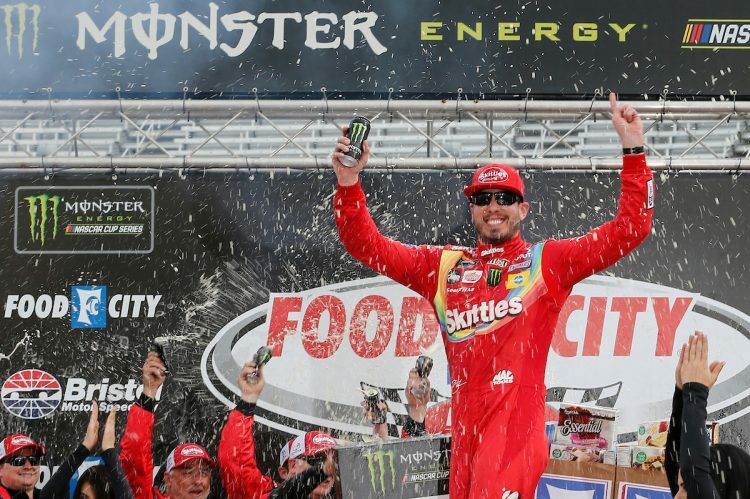 The brothers’ 1-2 finish was the second time it’s happened for them in the Monster Energy NASCAR Cup Series, coming nearly four years after Kyle beat Kurt in Sonoma, Calif. The victory was Busch’s 54th Cup win in his career, matching him for 10th all-time with the legendary Lee Petty. Busch didn’t have the best car all day Sunday, and his race nearly ended before it really got going. On the second lap, he was hit from behind and spun. Fortunately for him, the car only had minor cosmetic damage to the rear, and Busch began the march back to the front. Meanwhile, Team Penske drivers Ryan Blaney, Joey Logano and Brad Keselowski combined to lead 344 of the first 482 laps. Logano had the lead – getting around Keselowski on lap 470 – when Kyle Larson hit the Turn 2 wall, setting up a decision to pit or not. Logano pitted, restarted eighth and could only get back to third. “I think we had the fastest car,” Logano said. “We just didn’t get the pieces right. You can have the fastest car, (but if you) don’t do the rest of the stuff, you don’t win. The 18 capitalized on that. On lap 39, Preece spun off Turn 4, and when polesitter Chase Elliott slowed to miss him, Elliott was punted by Corey LaJoie. Elliott spun but didn’t suffer any damage, though he developed power-steering problems soon after. A late caution created a two-lap dash for the Stage 1 win, with Dillon holding the outside lane to edge Bowyer in a battle of drivers who didn’t pit under that previous yellow.